International angel investors are hungry for future-altering technologies in innovation hubs and one UK-based company is harnessing Poland's startup potential. 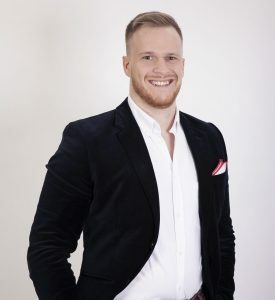 With a vision for expansion in Poland, Jack Thompson, Head of Investor Relations at Angels Den, is determined to give Polish startups a fighting chance against the world’s top innovative competitors searching for investors. In addition to coordinating the investor relations teams based in Poland and the UK, Thompson seeks out promising businesses and raises investment capital to launch new companies. Angels Den is one of the biggest networks of angel investors in the UK and was recently a partner of the Pitch To London startup competition organised by PLUGin Foundation. Poland Today caught up with Thompson after the event to talk about the Polish startup scene and how Poles can gain a competitive edge. As the founder and CEO of a few startups, what did you learn from that experience? After committing every kind of sin, I learned how not to do business. I also learned that the most important thing is the team behind the idea. You need to emphasise their strengths and push these people forward. Without seeing the value in your team, you just have an idea or money but you are limited in your ability to expand. Why is it important to understand the culture of the country you’re doing business in? It’s incredibly valuable to understand the mindset of the people that you are working with or selling to, regardless if it’s B2B or B2C. I have lived in Australia, Spain, Romania, Portugal and now Poland, and I learned that it’s quite easy to upset people if you don’t adhere to some cultural preferences or certain aspects of their day-to-day lives. British people, for example, are very sensitive. We tend to get offended quite easily, and in written communication, this in particular can be a big issue. In America, people are slightly more direct in their written communication and a lot friendlier in their spoke communication, whereas British people tend to be a bit more direct on the phone or face to face. What have you learned about Polish business culture? That’s a very good question. Young people nowadays are as Western as any other Western European country so I don’t see a difference with young generations. Older generations, however, are a lot more closed and old-fashioned and it’s very difficult to break into the Polish market when you’ve got these ingrained styles of business. Business culture is certainly very specific in that sense – there is evidence of the tradition and heritage and a great deal of pride, which, all things considered, is very admirable about Poland. Angels Den is a platform for connecting early stage businesses and startups with angel investment. We have about 22,000 investors and about 500-600 companies per month contact us looking for funding. We only choose between 12-16 companies so it’s a fairly rigorous selection process and we also make sure that every deal that goes live has a lead investor. This lead investor does all of the initial due diligence, background checks, potentially has industry connections, can introduce new clients to that company and can also speak to other investors that will eventually come aboard. To date, 92.4% of the companies that we’ve raised funds for are still in business over the last 12 years. We’re quite proud of this and we attribute our success to our lead investor model, so that’s really a priority for us. One misconception is that people think that angel investors are just a source of money. What else can these angel investors do to help startups? Most angel investors are people who went to university and then straight to work for 20-30 years and they never had a chance to be entrepreneurs or take risks. They have so much experience, so many connections and knowledge that can be tapped into by companies. So the investors have the ability to relive their youth in a different way while the entrepreneurs have an advisor, almost like a parent who says ‘don’t do this’ or ‘in my experience this has worked very well’. There is a quote that says, ‘A wise man learns from his mistakes, but a wiser man learns from someone else's' and that’s the point in this context – the entrepreneurs have the opportunity to learn from somebody else’s scars and experiences. Money is empty, it’s pointless. You can get money but it’s all about the experience and expertise. Why did Angels Den decide to open an office in Wrocław? Initially, our Wrocław office focused on IT because it’s no secret that Poland is one of the best countries in the world for technology. But when I started working here a few years ago, the point I continued to make was that Poland has to stop being treated like a cheap place to work. There are so many smart, hard-working individuals in Poland so we built a team in Wrocław and focused on companies starting up here. Poland has so many young natives and increasingly more foreigners who have businesses that generate decent revenue, they have good valuations, good market traction, they work hard and learn. We want to help these companies because they need the funding and experience that they don’t have access to. Are there any plans for expansion in Poland? Absolutely and that is the priority right now. We would like to see what kind of companies are available, and we will set up our own events, conferences, and screening processes and due diligence to make these investment opportunities available and present them to investors. Investors are already in talks with some of our Polish startups to actually invest so it’s certainly very well received. People can see there’s huge potential in Poland in the future. How can Polish startups attract foreign investors? If they’re looking for any international investment, they should really scope out how people are investing in those countries. The EIS [Enterprise Investment Scheme] and SEIS [Seed Enterprise Investment Scheme] tax relief schemes are huge in the UK. For British people to have an initial interest in investing in Polish companies, all Polish companies would have to do is register an office in the UK – a subsidiary office and pay rent which would be £300-400 a month essentially for a chair in a co-working space based somewhere in the UK– and then they can apply for the EIS and SEIS tax relief. If they want to improve their chances of being seen by UK investors, the EIS and SEIS would be the minimum for them to achieve. For companies that come to us from outside the UK, we offer a full training service on how to communicate effectively with British investors and we also go through pitch decks [presentations]. We want to reflect Polish companies as best as possible because Polish people are very smart, and they shouldn’t be disabled by the fact that they’re not pitching in their mother tongue so we just check the very standards so that they can represent themselves properly. Do you mostly look for foreign investors outside of Poland? Most of our investors are based in the UK, but they are from all over the world. We won’t specifically look for Polish investors, mainly because all of our deals are in pounds. However, Wrocław is close to Berlin, which has per capita one of the highest concentration of high-net-worth individuals, so that’s certainly a direction we’re moving in over the next 6-12 months. It’s more convenient for investors to drive over from Germany to see companies pitch than it would be to get hundreds of investors on a plane from the UK to Poland. What sectors are investors interested in supporting? Sustainability is incredibly popular with investors. I always say that it makes sense to invest in something that promotes the future. Angels Den is predominantly tech-based which includes fintech, insurtech, medtech, some edtech and hardware. What do you think the future holds for Poland? Poland’s economy is one of the only economies that has continually grown over the past 10 years. In 2008-2009, it was the only one that didn’t dip. We’re not the only ones noticing this. Now more and more external funds are coming to Poland and to be honest, Poland shouldn’t be excited that it’s happening – foreign investors should feel privileged that they have the opportunity to invest. In five years' time, we’ll see that Poland will flourish and there will be so many people who will be kicking themselves for missing the opportunity. Monica Zielinski is Poland Today's online editor and social media manager. She is a Polish-American journalist who also works on international projects headed under Rzeczpospolita. After earning a journalism degree from Southern Connecticut State University in the US, she moved to Warsaw to reconnect with her Polish roots and work in her field.